Hello everyone, It's been a while since I've actually done modding for Halo CE - I just thought it would be fun to get back into it (I forgot my old login and such hehehe). I am getting a white output screen, and I am able to hear sounds. I've tried running in compatibility mode, administrator and all that. I have also tried reinstalling HEK - and nothing seems to be working. I've searched around the forum and I can't seem to fix my problem with Sapien (I have also tried using a hobov2. I am using a Windows 10 64-bit desktop along with an RX480 graphics card (Which I am assuming could be the issue as to why I am getting a white output screen). I apologise if this is in the wrong forum (please move it if need be), however I would really appreciate it if there were a solution to this. You could try messing around with your video card settings, like disabling AA or something. 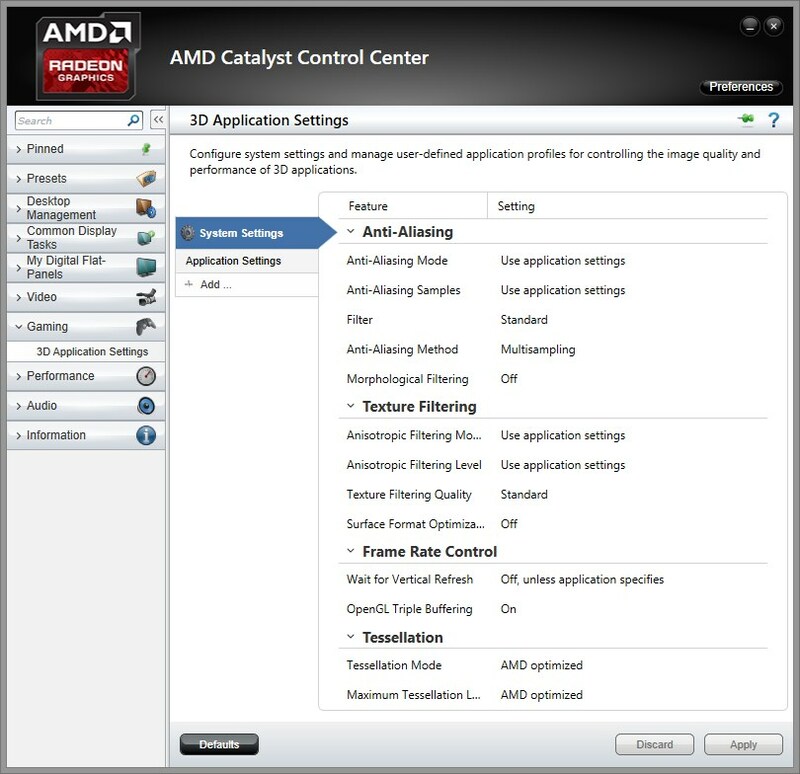 Hey Altis94, thanks for the reply - however I have set the Anti-aliasing Mode to "Use application settings", as I'm pretty sure that Sapien doesn't have any AA on, and there doesn't seem to be a disable setting with these Radeon Settings. Think you need to set the option to "Use Application Settings" and then disable it in the actual application. Click the + Add button and locate Halo's .exe file. Then save the profile with the current settings you have selected. Don't forget to save and it should work. roll back your drivers, i had the exact same issue recently. Hey Super Flanker, I've set everything on that already but my Sapien still refuses to show me anything but a white screen. My Halo CE game itself is working correctly. Which driver should I roll back to? I'm on Crimson ReLive 6.12.1 now, I had the Crimson 6.11.2 driver installed before I made this post and updated to 6.12.1. Both give me a white output screen.